THE year is 1971 and 16-year-old Brenda Beauchamp has just discovered she is pregnant. "All I could think was, 'How am I going to support this child? How am I going to cope?'" Ms Beauchamp recalls. "I knew there was no support for me in my home town or from the father, and I was unaware there was any income support for single parents." So Ms Beauchamp made a decision she says "fractured" the rest of her life. She hopped on a midnight bus out of town, gained employment as a live-in nanny in Sydney, gave birth - and then handed her baby girl over for adoption. "I was petrified," she said. "I didn't tell my family (I was pregnant). I said I was going to look for work in Sydney." It was a decision she made because she felt there was no other choice. In fact, some financial support for single parents had been introduced in 1969 - an extremely important development countless social workers and others in the know failed to mention to her. "The attitude of all the social workers I saw was, 'Too bad, you deserve it,'" she said. "I wish someone had told me income support was available. "Even if I still chose to go through with (the adoption) at least I would have had a choice." Ms Beauchamp said nothing prepared her for the heartbreak of saying goodbye to her daughter. "I knew it would be hard but I didn't know exactly how hard," she said. "I virtually had this horrific experience and walked away and started a new life. "Very few experiences in my life would rival the intensity and feelings of that time." 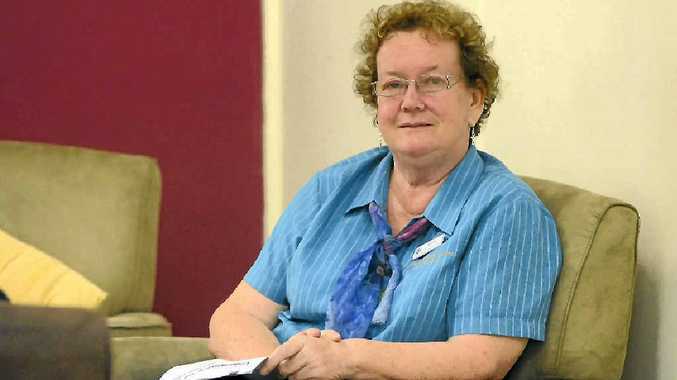 It is for this reason Ms Beauchamp, who now works at the Gladstone Women's Health Centre, hopes people affected by adoption will attend an Adoption Connections meeting at the centre from 5.30-7.30pm on Thursday, June 7. "If telling my story makes it easier for other people to share, then it will all be worth it," she said.